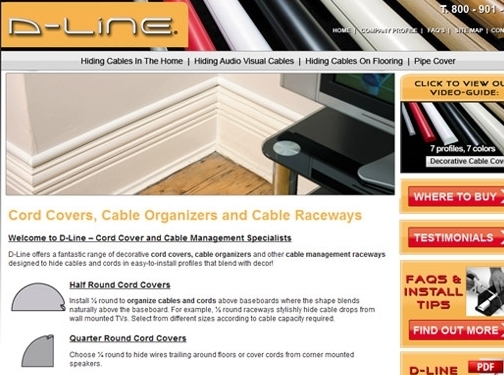 D-Line USA offer a number of cable management solutions, including cord covers to hide tv cables and cable organizers for home theater cable management. US (New Jersey) based company offering appliance cabling solutions for the home. Website features details of services provided, testimonials, FAQs, terms and conditions, full company contact details.